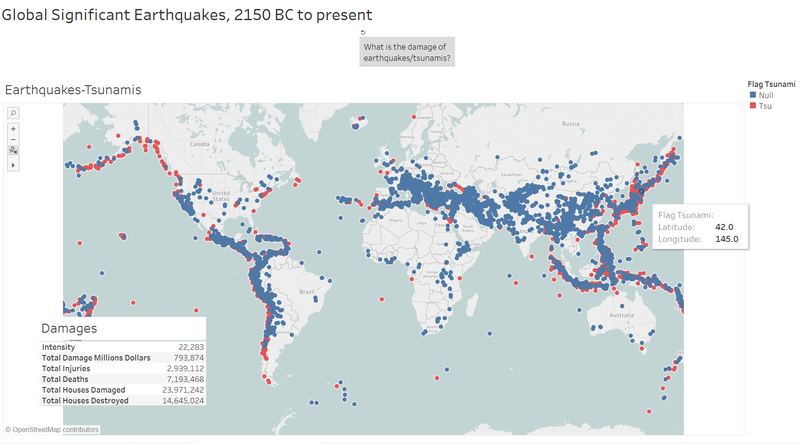 Global Significant Earthquake database by National Oceanic and Atmospheric Administration compiled the dataset of significant earthquakes that rocked the world since 2150 BCE to present. Pacific ring of fire has more pronounced tsunamis triggered by earthquakes. The story is here. This entry was posted in Visualization and tagged earthquakes, tsunamis. Bookmark the permalink.